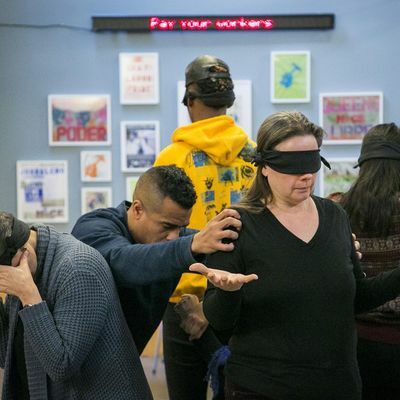 As an extension of last fall's Long Table event, we invite you to join School of Art Visiting Fellow Shaun Leonardo for a series of closed, participatory workshops to further explore ideas and sentiments around "safety". At these workshops, members of the Pratt community and invited guests will locate intensely contested issues within their bodies. 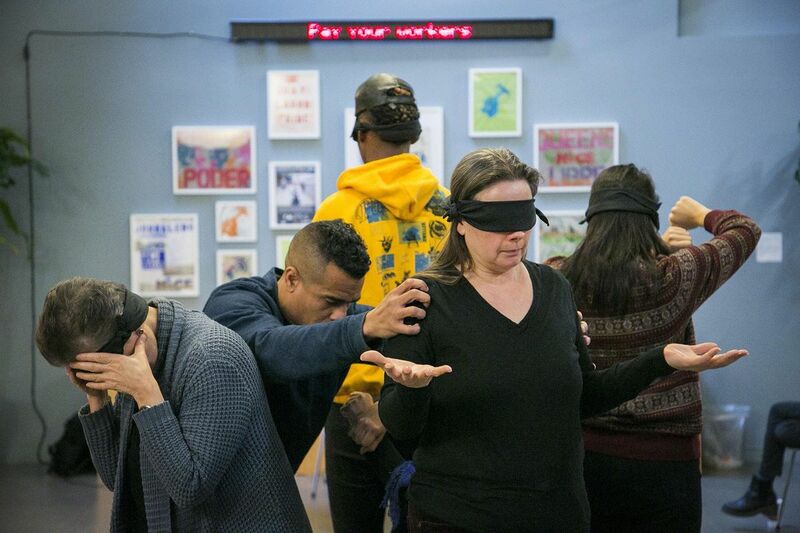 Against a backdrop of shifting perspectives and meanings, participants will translate their experiences into performative gestures by embodying each other’s narratives, elusively tying each person in the room to one another. Participants will be asked to wear blindfolds while enacting each other’s testimonies through only minimal movement. Ultimately, the group is invited to discover themselves within new identities, in search not only for a personal truth at the heart of their own experiences but also a collective truth in regards to our inherent interconnectivity. Each performance-based workshop will be tailored to exactly 8 participants. At the end of each workshop, refreshments will be available. All are then invited to stay, mingle and celebrate their participation. Those interested must RSVP and arrive with a written or memorized testimony (whether the experience is direct or indirect, public or private) connected to one of the following prompts- Experiences of: Vulnerability, Insecurity, Invisibility, Anxiety.